Preparing you for professional employment in the fitness industry, this Bachelor of Health Science (Fitness) course goes far beyond basic fitness training and provides a broad understanding of human body systems, physiology and anatomy and the role of exercise, nutrition and lifestyle factors in maintaining optimal health. You will become familiar with health promotional strategies, motivational techniques and be trained to create tailored nutritional and exercise recommendations for diverse groups. This qualification also includes important information for those wishing to start or manage a small business enterprise in the fitness industry. 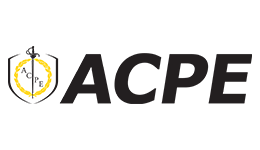 Delivered on campus (with selected subjects available online) at ACPE, you will have access to state-of-the-art facilities and experienced teachers. Practical learning is undertaken in the laboratory, gym and in the field, providing students with exposure to the latest technology and equipment. Demonstration of good selection prospects as a student (for example, relevant work experience and motivation to study), and ineligibility to compete for admission based on the academic achievement criteria above. Upon successful completion of this course you will receive a nationally recognised, accredited Bachelor of Health Science (Fitness) from the Australian College of Physical Education.